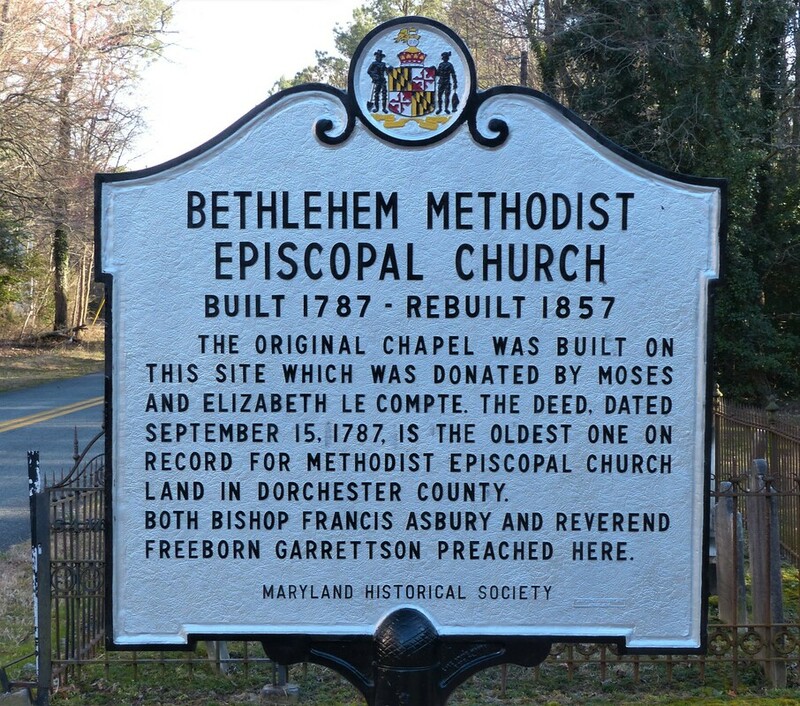 The land on which Bethlehem Church stands was deeded in 1787 and was the first tract of land set aside for a Methodist Church in Dorchester County. 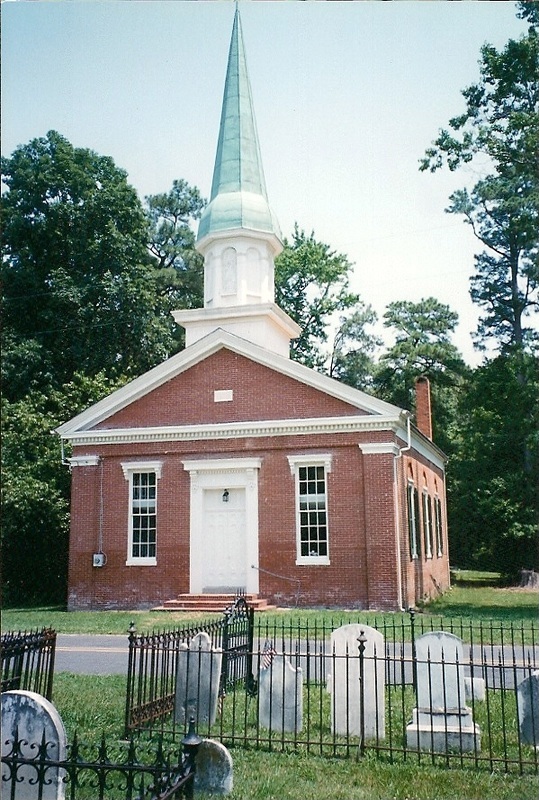 The first "Methodist Meeting House", later called "Bethlehem Chapel", was built in 1787, across the road from the present brick church. Freeborn Garrettson, the "overseer of Methodism in the area", wrote in his journal, "I preached in the little new chapel on Taylors Island June 11, 1787". This wooden chapel served the congregation until 1857 when the present brick building was constructed at a cost of $3231.49. The original building was sold at auction to Judge Levi D. Travers for $120.00, and was used for farm storage The chapel finally collapsed in the 1950's. 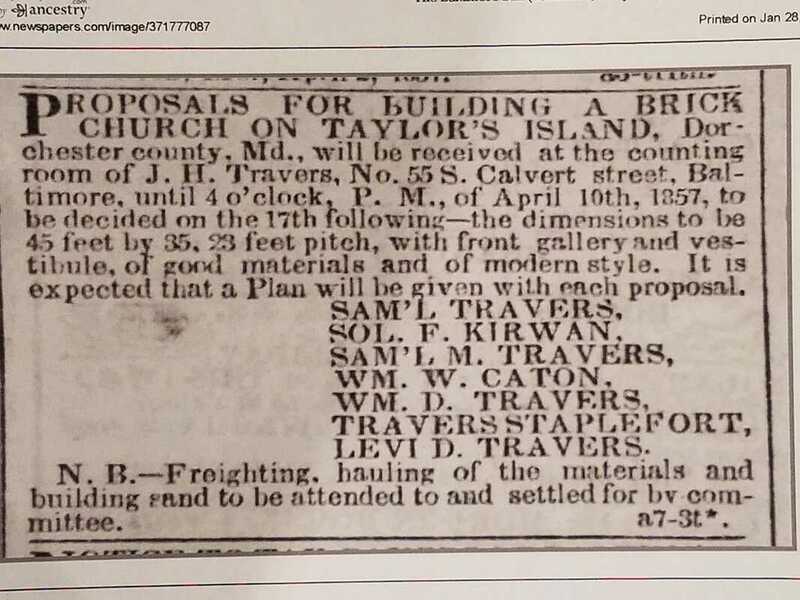 Bethlehem Church is now owned and preserved by the Grace Foundation of Taylors Island. The Bethlehem Graveyard, across from the church, is cared for by an organization known as “The Bethlehem Graveyard Endowment Fund, Inc.” Effective in 2009, the graveyard and the fund are now owned by the Grace Foundation. The following work was done to the church. The roof newly shingled. The floor taken off new joists put in of yellow pine hart (sic) & the floor raised one foot & new stairs with continuous rail & banister. The erection of Library room & refrescoing of the whole church, refurnishing the church with stoves, carpeting for the pulpit, gallery stairs, new lamps, chairs for the choir, Cushion for the bible, repainting & respouting of the church & new lightning rod, new window blinds at a cost, including interest paid on debt which was finally cancelled Jan. 7, 1876 of $1903.53." Editors note - In the closet under the current stairs can be seen a piece of framing that supported the original stairs to the balcony.